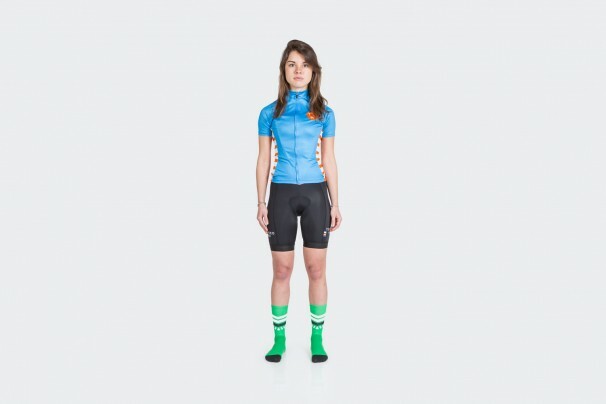 Helen is our XXS Race Fit Jersey model. 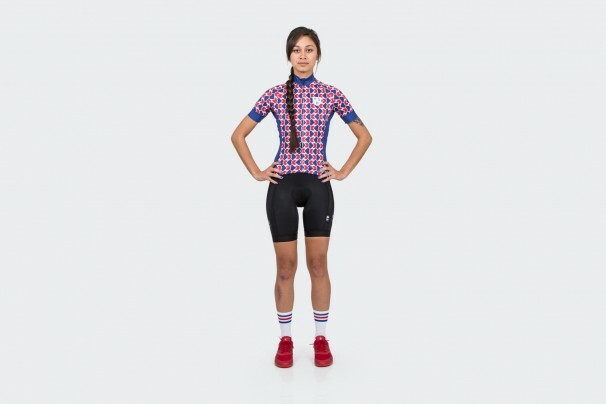 She prefers a very tight, fitted jersey, so this new size is ideal for her. If she wanted a slightly more roomy fit, she would wear an XS race fit. 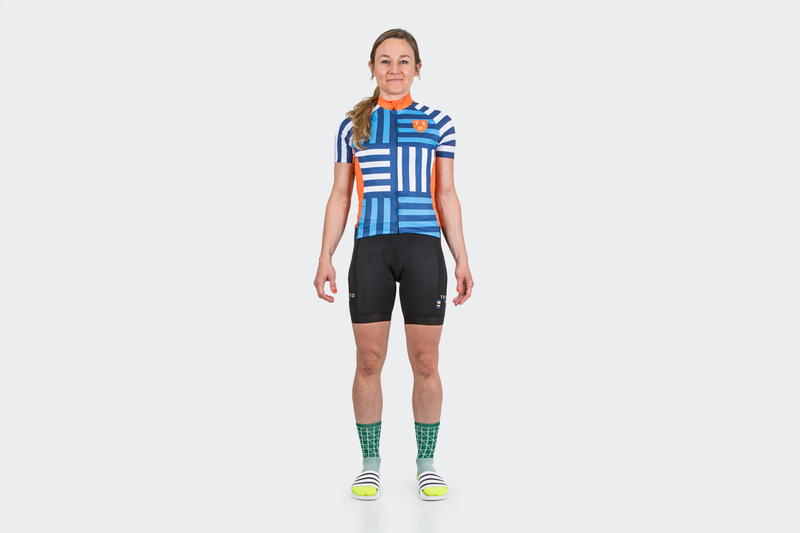 Katie is wearing our Team Shorts in small, fits into our Club Shorts in x-small and wears jerseys in x-small across our line. 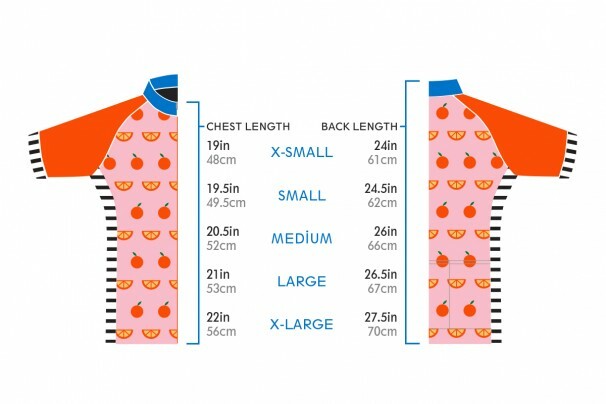 The jersey is a comfortable fit and not too tight. Women with larger quads but essentially Katie’s height may find the Team Shorts a bit binding. With this in mind we are developing a shorter pair of team shorts to fit the quads in length and circumference better. 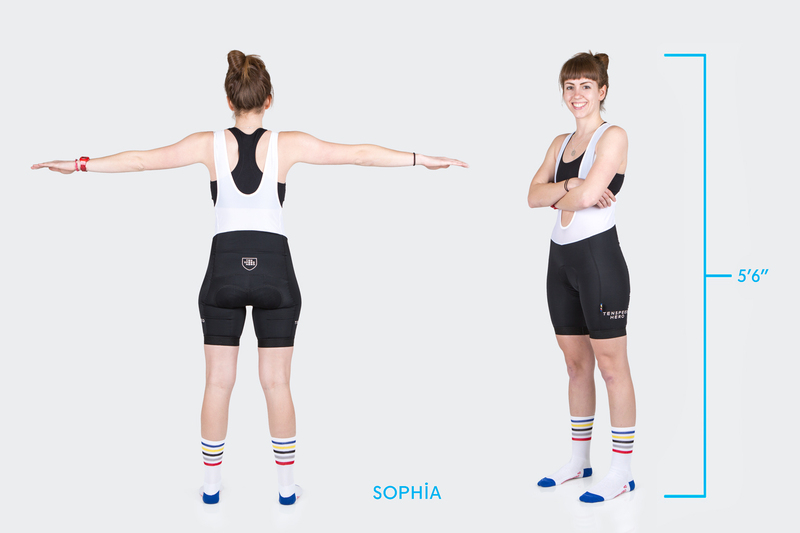 Sofia is most comfortable in our Small Skinsuits, although she could wear an X-Small. 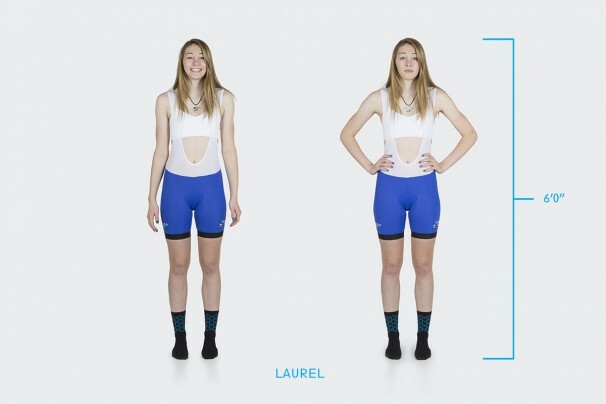 She prefers the small because it is less binding on her legs. 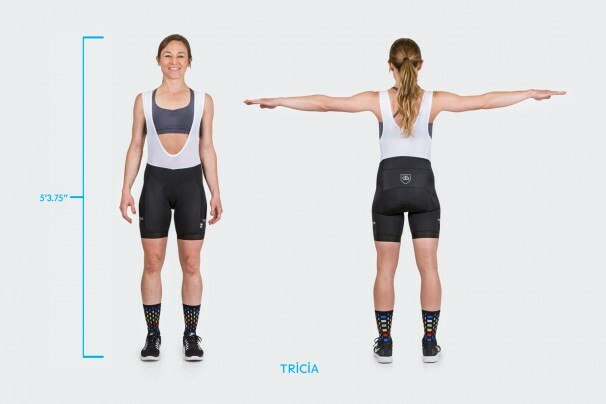 Tricia is wearing small Team Shorts and a Small Jersey. 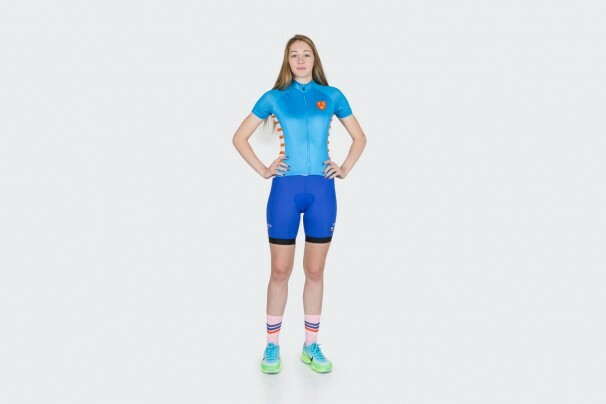 Due to her muscularity and quad size, she also wears small Club Shorts. She finds the inseam a bit long for her leg length, and her dream is to have a 7.5 inch inseam which is an inch shorter than our current measurement. 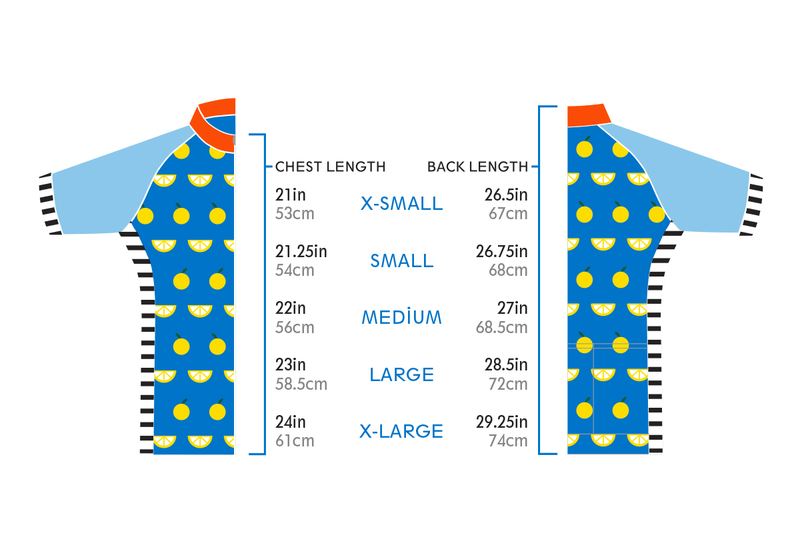 Because of this, expect to see 7.5 inch inseams across our line this summer. Anne is wearing our team shorts in small, but is right on the edge of being a size medium. She likes a snug fit and tension on the straps, so she prefers the small bibs. 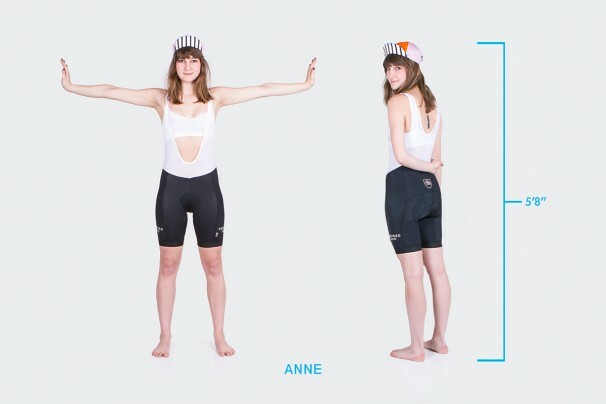 Because she hovers between small and medium, Anne opts for small club shorts. 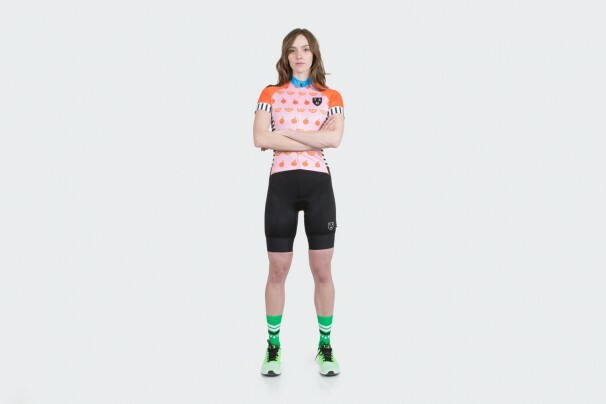 She wears a small jersey across the board. 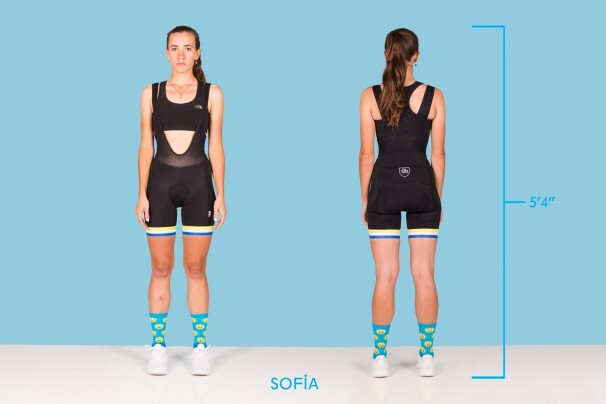 Sophia wears a Small Jersey and Medium Team Shorts. 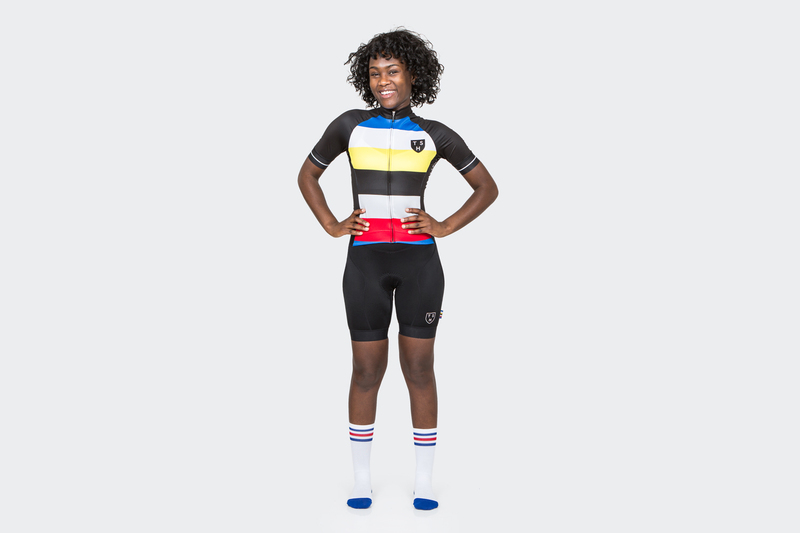 She has a tiny waist and can fit an extra small jersey – but they tend to be a bit short in front, and can ride up easily. Sophia likes our new strapless bibs, but due to her small waist, there is some slack in the elastic. 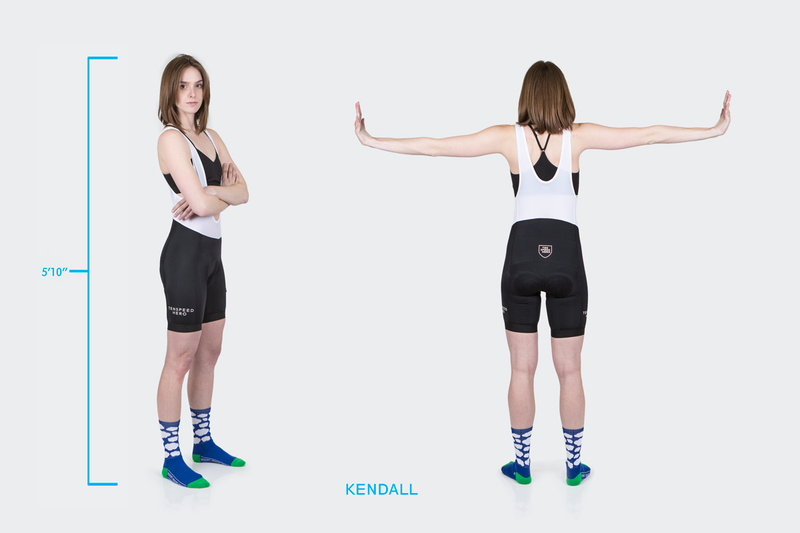 Kendall wears small jerseys across our range and medium Team Shorts. 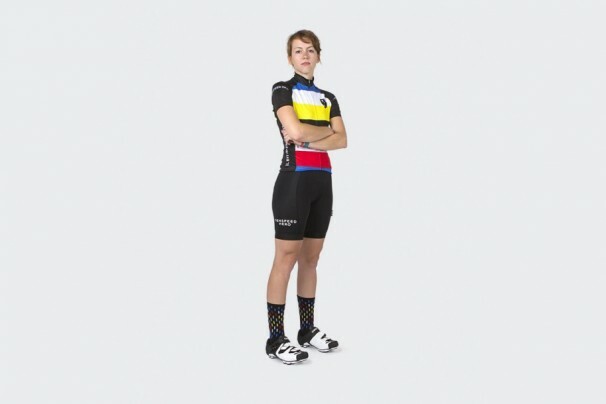 She has long legs, so she likes where our current inseam falls. 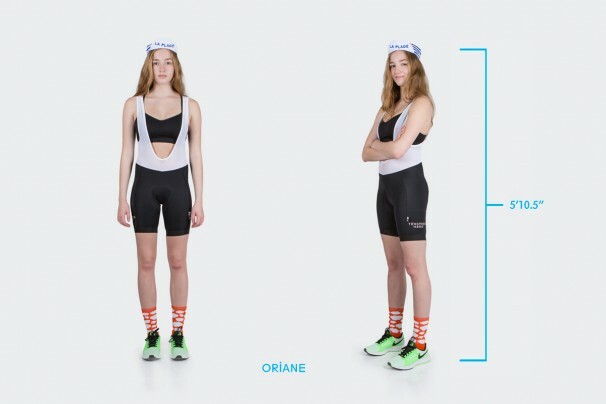 Oriane wears a small Jersey and medium Team Shorts. 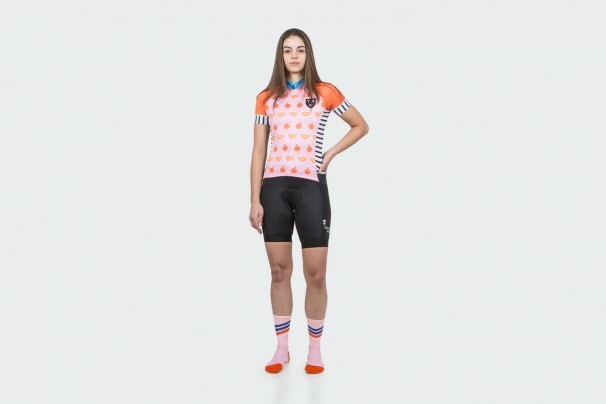 Due to her height, she wears medium Club Shorts as well. 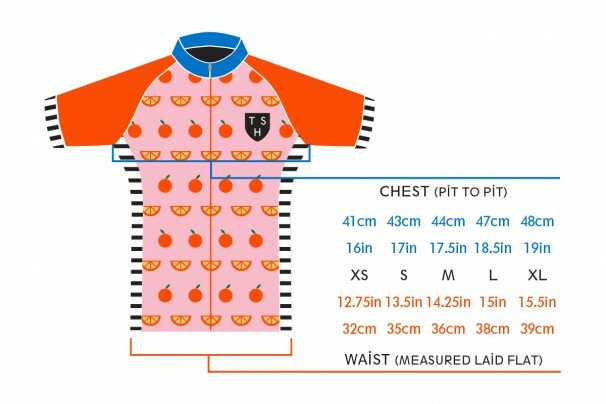 Her Jersey fits perfectly snug so if her bust were even an inch bigger, we would recommend her sizing up to a medium. 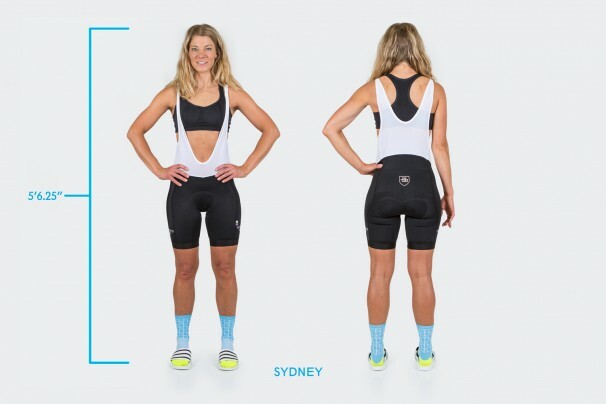 Sydney prefers a small jersey across our line, Large team shorts, and Medium club shorts. 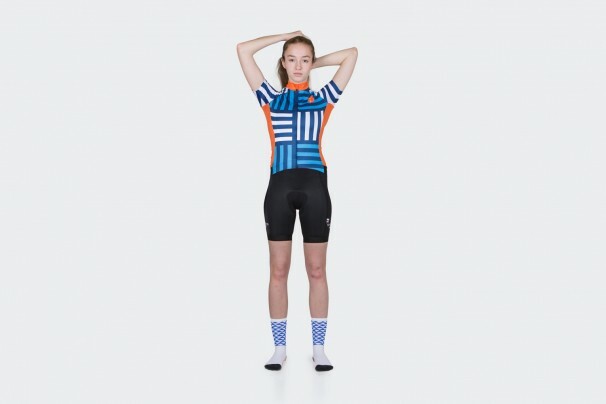 Because she has a pretty long torso, the small jersey tends to ride up just a bit while she’s standing. 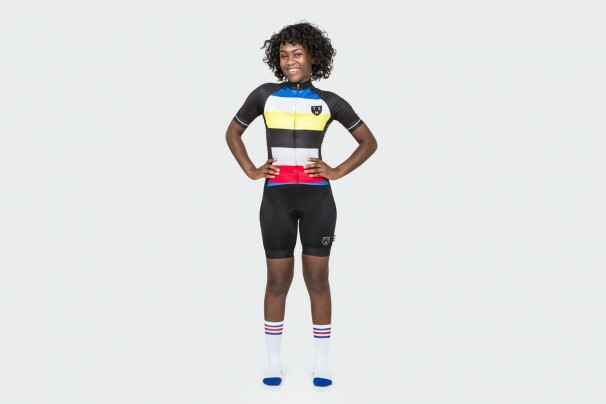 She fits a medium jersey perfectly also, but she prefers the tightness of the Small. Sydney mentioned she had a hard time finding bibs with straps that are long enough to not feel restricting on her shoulders. 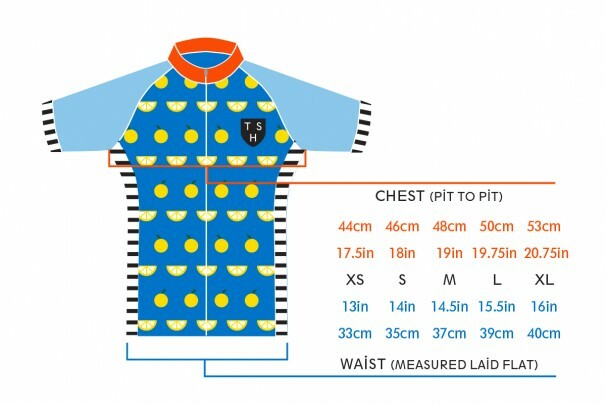 This is one reason she wears a size Large. 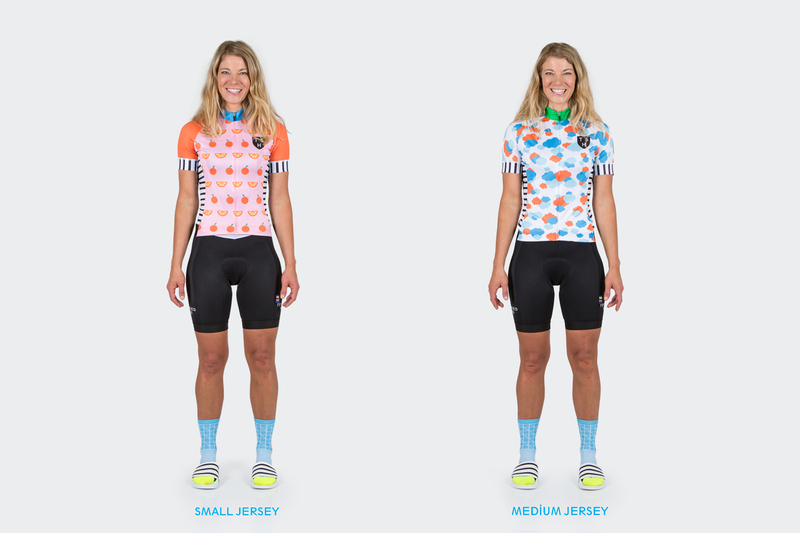 Shawna fits snugly into our Small Jersey, but could have worn a medium if she wanted a little more room. She wore Medium Pro Shorts and Medium Club Shorts, so she would need to size up to Large in our Team Shorts. 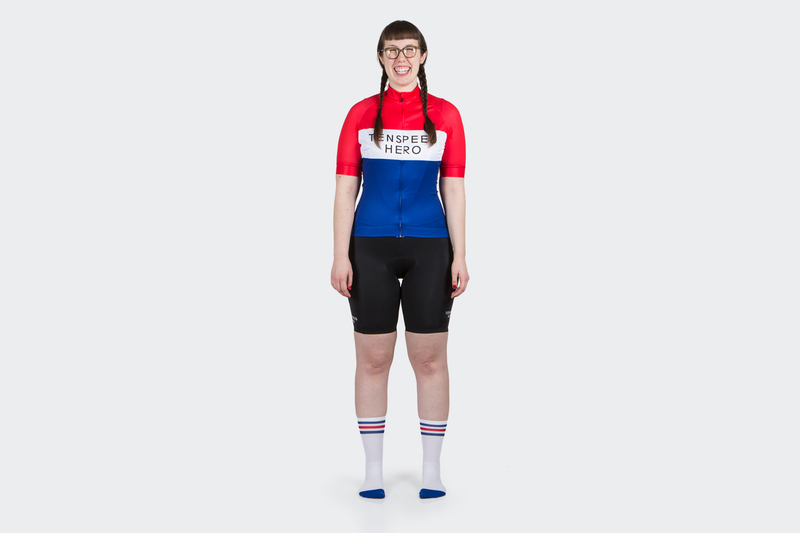 Megan wears a medium jersey throughout our range, large in Team Shorts, medium in Club Shorts. 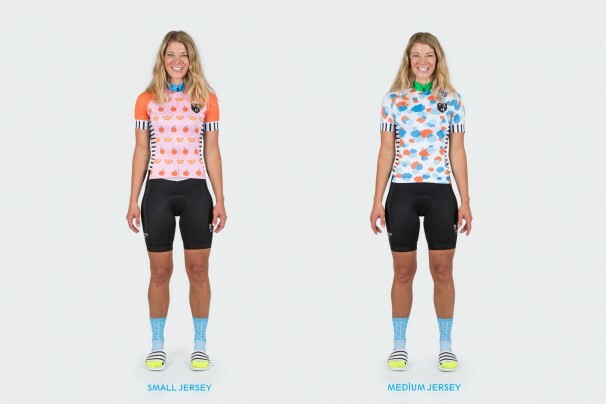 Sarah wears Large Jerseys across the line, and can sport a Men’s Small. She wears Large Team Shorts, and Medium Club bibs. Laurel wears a medium jersey throughout our range, medium in Team Shorts, medium in Club Shorts. 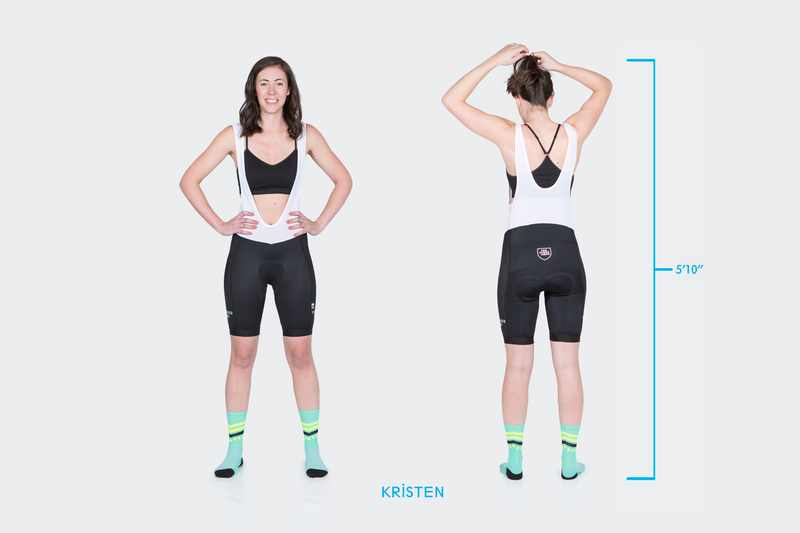 Kristen wears a medium Jersey across the board, Large Team Shorts, and Large Club bibs. 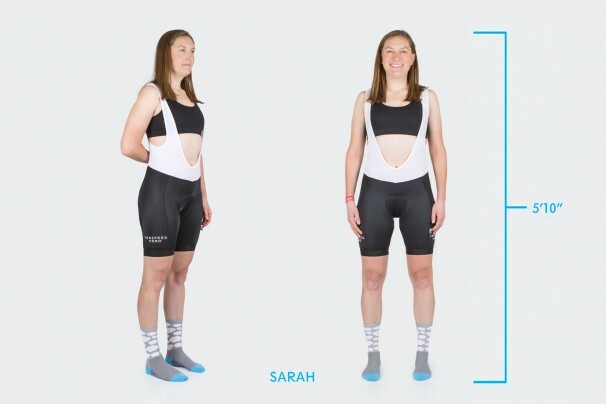 She prefers a slightly longer inseam, and not an overly tight elastic band. 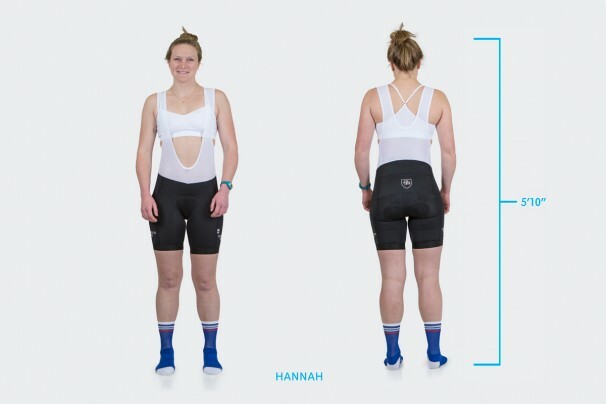 Hannah wears a large jersey across the board, large Team Shorts, and large Club Shorts. Due to the high compression of our Team Shorts, Hannah commented that at first they seemed a bit tight, but after wearing them for a few minutes they seemed to relax and fit perfectly. 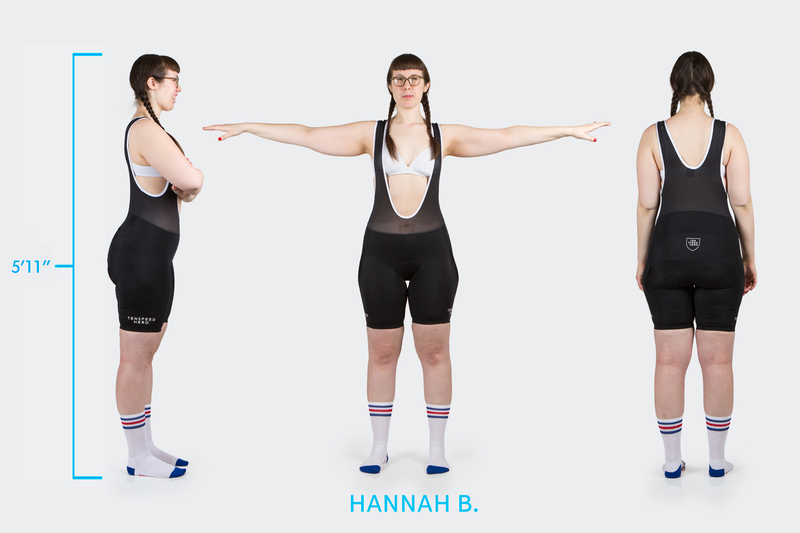 Hannah B. was most comfortable in the XXL club bibs and XL Regular Fit Jersey. 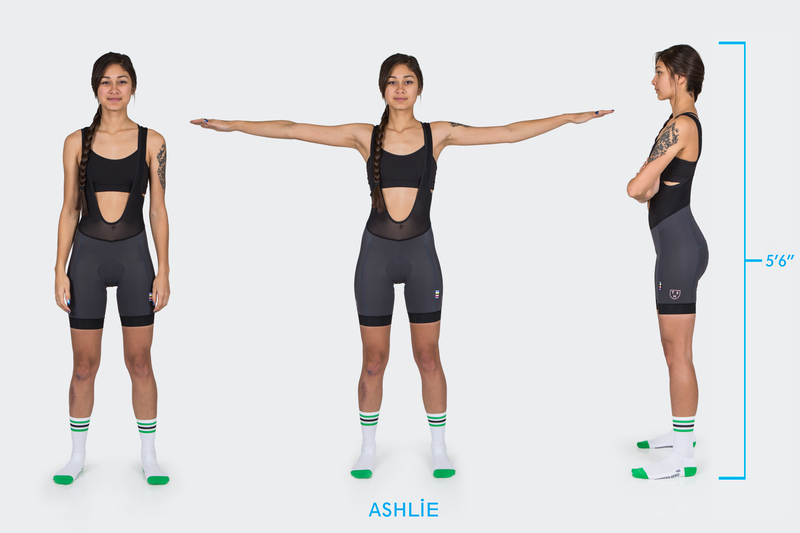 She fit into the X-Large bibs and Large Jersey, but preferred the arm grippers and leg grippers of the XL Jersey and XXL Bibs respectively. 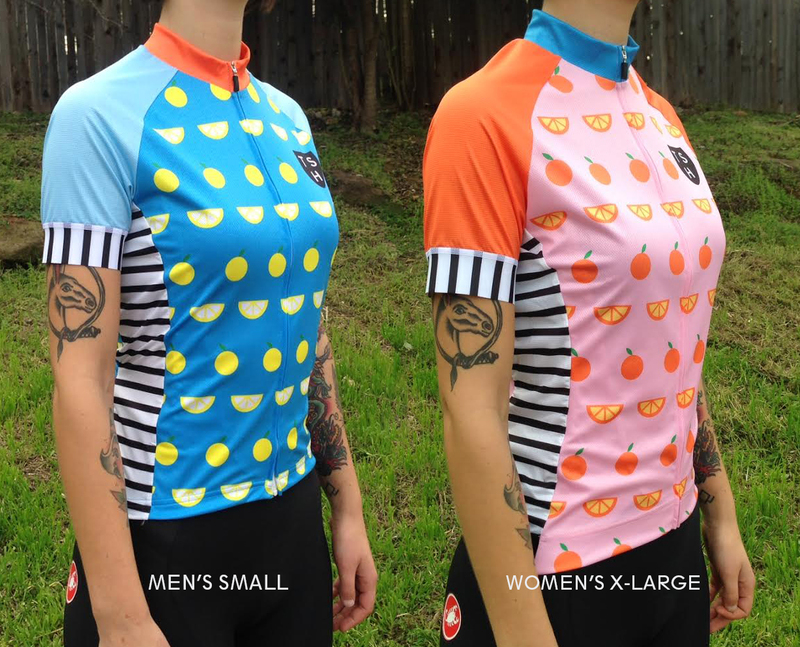 Some of our female customers have expressed interest in men’s cut jerseys. In order to help you decide if this could be helpful to you, we have provided comparison sizing below. Women who wear Large & X-Large Jerseys sometimes find the mens smaller cuts to be more accommodating in key areas, but beware – boxier fit.